The taking of a blood for a blood alcohol test – voluntarily or by force – is a major issue confronting the Colorado and national courts. 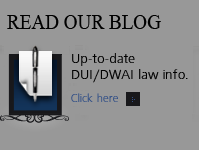 This article explores the subject as it applies to DUI and Non- Traffic felony criminal cases. Blood tests cannot be forced on people “automatically” in criminal cases. Blood tests are considered “searches” within the scope of the Fourth Amendment and require either consent or probable cause to believe that a crime, whose elements include being under the influence of alcohol/controlled substances, has been committed. Under the DUI statute, an officer can only request a blood test when the officer has “probable cause” to believe the person was driving a vehicle while impaired by alcohol/drugs. So What Is Probable Cause? Probable cause to suspect the presence of alcohol is usually such things as the odor of alcohol, the presence of beverage containers, red blood shot watery eyes, slurred speech, lack of coordination. Observations of these types of characteristics may give an officer good faith probable cause to compel the taking of a blood sample. Mere admissions to the use of alcohol/controlled substances are not enough. Officers must have some corroboration that the person is under the influence. In People v. Reynolds, 895 P.2d 1059 (Colo.19 95), a driver involved in a one- car accident admitted to consuming three beers more than six hours before the accident. The court held that this alone, without evidence of any of the “familiar signs of intoxication,” did not constitute probable cause to involuntarily take a blood sample from the driver. These probable cause requirements also apply to unconscious/dead suspects also under 42-4-1301 (7) (see below). The fact that a party is unconscious does not excuse the officer from the requirement of having probable cause to believe that the suspect’s blood contains alcohol or controlled substances. In traffic situations, samples can be obtained from unconscious suspects pursuant to the Express Consent Law. 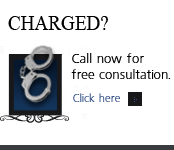 Under the DUI express consent law, an arrestee has a statutory right to refuse to provide a sample of his/her blood or breath (see 42-4-1301 (7) (a) (11)). But the refusal can then be used in an administrative license revocation hearing to revoke the driver’s license for at least a year with no driving. “The police have probable cause to arrest when the facts and circumstances known to the police are sufficient to warrant the belief by a reasonable and prudent person that the defendant committed an alcohol-related offense.”. A jury convicted Mr. Grassi Vehicular Homicide, manslaughter, DUI and DUI – excessive alcohol. He appealed, and the Court of Appeals sent the case back to the trial court to determine whether the police had probable cause to draw blood from the unconscious Mr. Grassi. The trial court held a hearing, and determined that the state patrol did possess enough facts to establish probable cause for the blood draw from Mr. Grassi. The Issue Was: When do the police have probable cause to draw blood samples? In certain specified DUI cases that involve charges under the Criminal Code, the statutes permit officers to forcibly restrain a driver to obtain a blood test, when the officer has probable cause to believe the person was driving under the influence of alcohol/drugs. 42-4-1301.1(3) Any person who is required to take and to complete, and to cooperate in the completing of, any test or tests shall cooperate with the person authorized to obtain specimens of such person’s blood, breath, saliva, or urine, including the signing of any release or consent forms required by any person, hospital, clinic, or association authorized to obtain such specimens. If such person does not cooperate with the person, hospital, clinic, or association authorized to obtain such specimens, including the signing of any release or consent forms, such non cooperation shall be considered a refusal to submit to testing. AND the person is refusing to take or to complete, or to cooperate in the completing of, any test or tests, then, in such event, the law enforcement officer may require a blood test. 42-4-1301(6)(e) Evidence acquired through such involuntary blood test shall be admissible in any prosecution for a violation of subsection (1) or (2) of this section and for a violation of section 18-3-105, 18-3-106 (1) (b), 18-3-204, or 18-3-205 (1) (b), C.R.S. People v. Williams [557 P.2d 399 (1979)] was a case involving a shooting death. Investigating officers had taken blood and urine samples from the suspect, over her objections, shortly after the incident. The tests were conducted because witnesses had seen the suspect in a bar earlier on the day of the shooting and an officer noted a “faint smell of liquor about her” after the shooting. The Colorado Supreme Court suppressed the results of the tests because the officers lacked any “clear indication” that the suspect was intoxicated. The court said that there was no evidence as to what she drank in the bar, how much she drank, and how long before the shooting. The court held that “the slight liquor smell on her breath may have indicated that alcohol had been consumed, but, by itself, did not clearly indicate intoxication.” Noted by the court was the fact that the officer made no observations of her demeanor that would indicate that she was intoxicated. In major felonies, two or more blood tests are conducted several hours apart. Schmerber allowed a warrantless blood test only because the alcohol soon disappears from the blood stream. In non-traffic cases, police will try to compel a blood test to prevent a “built in intoxication defense” that he would not otherwise have had if the officer had not stated his observations of the suspect’s demeanor. In close cases, the police will sometimes go ahead and take a blood test so long as there is at least some reason to suspect the presence of alcohol or controlled substances. The reason that in the long run, it is usually better to have the blood test results suppressed than not to have any results at all… I agree. No law enforcement officer shall physically restrain any person for the purpose of obtaining a specimen of such person’s blood, breath, saliva, or urine for testing except when the officer has probable cause to believe that the person has committed criminally negligent homicide pursuant to section 18-3-105, C.R.S., vehicular homicide pursuant to section 18-3-106(1) (b), C.R.S., assault in the third degree pursuant to section 18-3-204, C.R.S., or vehicular assault pursuant to section 18-3-205(1) (b), C.R.S., and the person is refusing to take or to complete, or to cooperate in the completing of, any test or tests, then, in such event, the law enforcement officer may require a blood test. (4) Any driver of a commercial motor vehicle requested to submit to a test as provided in paragraph (a) or (b) of subsection (2) of this section shall be warned by the law enforcement officer requesting the test that a refusal to submit to the test shall result in an out-of-service order as defined under section 42-2-402(8) for a period of twenty-four hours and a revocation of the privilege to operate a commercial motor vehicle for one year as provided under section 42-2-126. (7) A preliminary screening test conducted by a law enforcement officer pursuant to section 42-4-1301(6) (i) shall not substitute for or qualify as the test or tests required by subsection (2) of this section. 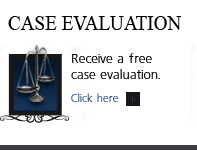 If you have questions about taking blood samples in Colorado in the Denver metropolitan area and throughout Colorado, attorney H. Michael Steinberg will be pleased to answer those questions and to provides quality legal representation to those charged in Colorado adult and juvenile criminal matters.